Minister S.B Dissanayake says that only President Maithripala Sirisena has the ability to carry forward the SLFP in a stronger footing. He has won the admiration of the international community as well. The Minister further points out that the majority of the minority community has faith on the President. 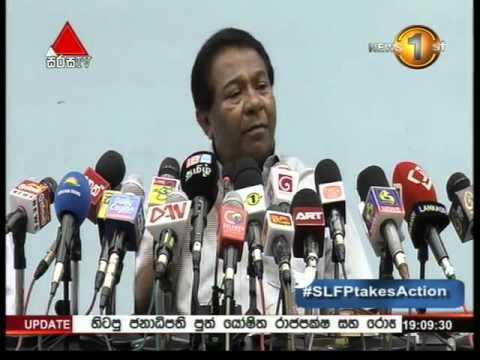 The Minister addressing a media briefing at the Department of information today said that therefore, that the President is fully capable of vibrantly guiding the SLFP towards victory at the forthcoming local government polls as well as in the provincial council election.